A range of delicious locally produced food from High Laithe Café and a variety of street food style stalls will be on offer at Yarndale this year. Gluten free and dairy free options are on offer from each. 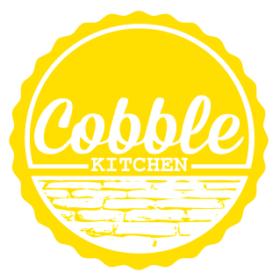 Look out for Cobble Kitchen situated outside the Littondale entrance. Serving a range of homemade goodies and freshly roasted coffee from Marcel a beautiful vintage café on wheels – their very own 1955 Citroen H van. Artisan wood fired pizza from The Little Red Pizza Shop with a range of toppings. Hand prepared in the traditional way, every pizza is individually made with passion & care. A range of delicious ice creams and soft drinks from Cochranes Ice Cream. Who can resist a bacon sandwiches from High Laithe? Or an ice cream from Cochranes Ice Cream. High Laithe will serve hot and cold refreshments, tray bakes and cookies. Located in the main building near the Littondale entrance, High Laithe will serve traditional breakfasts, hot breakfast sandwiches & Danish pastries throughout the morning, with a selection of homemade light lunches, jacket potatoes, fresh sandwiches & cakes served from lunchtime throughout the day. The drinks choice includes fresh filter coffee, cappuccinos, lattes, speciality teas and a wide selection of cold drinks. High Laithe are joined by a range of street food style stalls offering food from around the world. High Laithe offer traditional bacon & sausage sandwiches. A selection of homemade soups & freshly made cold sandwiches & cakes. Tea & fresh filter coffee.